Since making our Homemade Cadbury Eggs for Easter, I have been excited to make some additional desserts with the easy filling. Layered brownies seemed perfect. 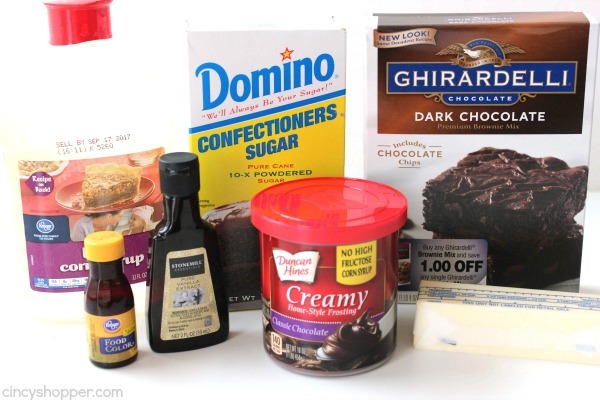 I started with a boxed brownie mix to keep this Easter dessert simple. 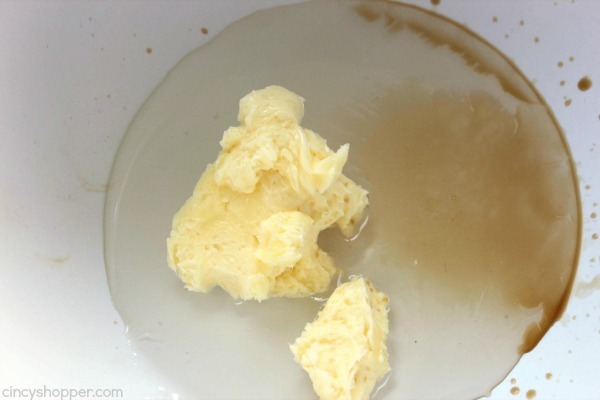 I then layered in a layer of yellow goo and then white goo. 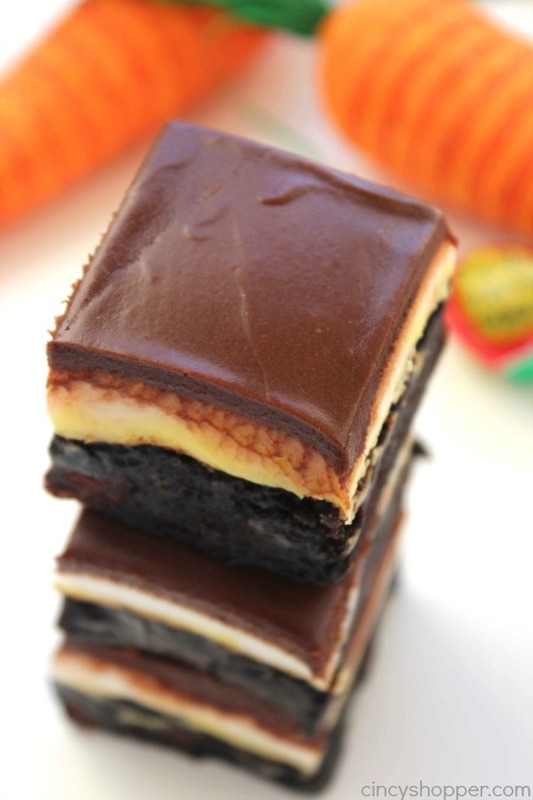 The layers worked perfect just like you will find in a Cadbury Egg. 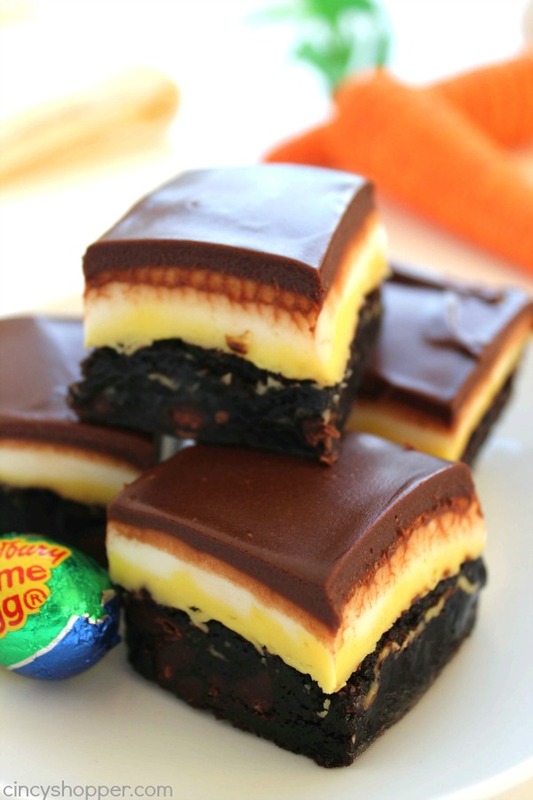 I then topped off our Cadbury Egg Brownies with pourable frosting. 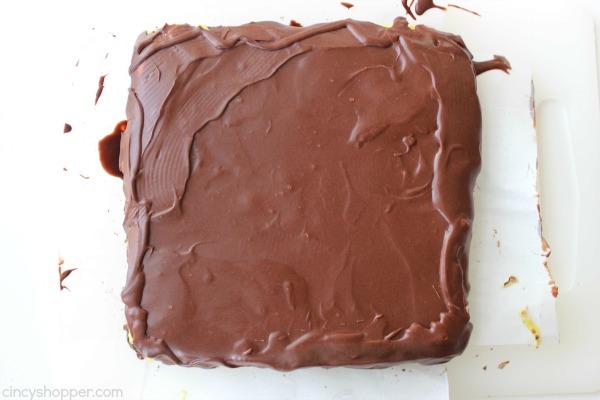 I used the heated frosting trick I used in my Boston Cream Poke Cake. I knew this trick would be perfect on these brownies. Wow, was I right. I tossed my brownies in the freezer for a bit. I like to get my desserts that need cutting very cold to get perfect slices. After getting them set and sliced, the layers looked gorgeous. 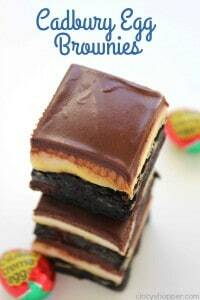 I plan to make a batch of these for our Easter dessert. We have quite a few family members who go crazy for Cadbury Eggs. 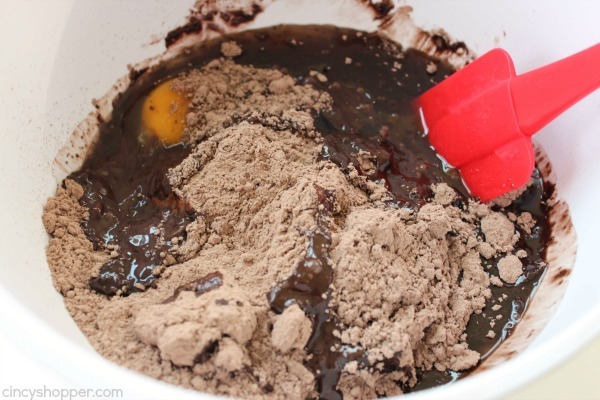 I know these brownies will be perfect. The recipe is so super simple. I used a good dark brownie mix to really get a nice color contrast. 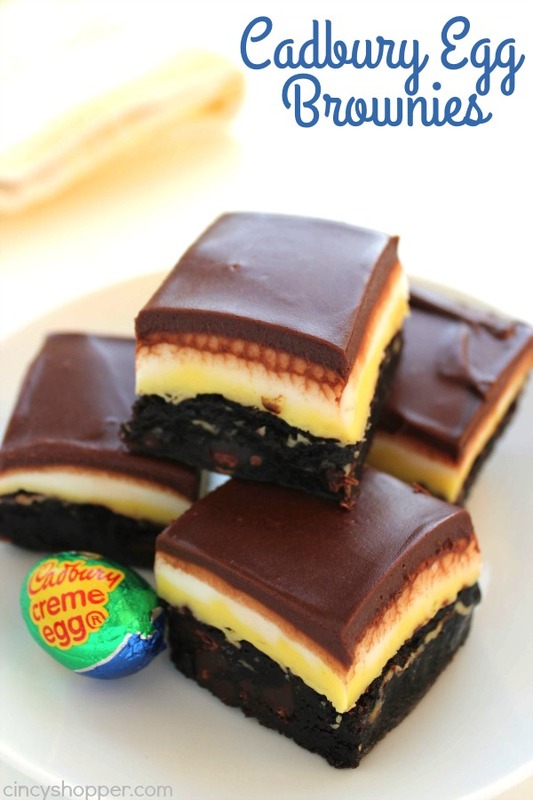 Then with some butter, corn syrup, vanilla, and powdered sugar, I created the Cadbury Egg filling layers. With a bit of yellow food coloring to half of the batch, I achieved the fun yellow coloring. The store bought frosting poured on top works perfect after a little bit of chill time. Transfer 1/2 of the filling to another bowl and add yellow food coloring. 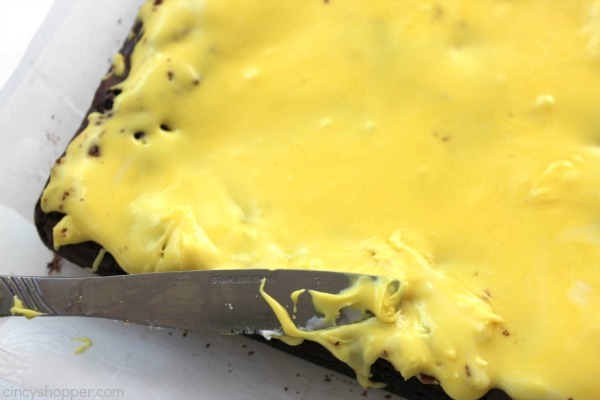 Spread yellow mixture on top of brownies and refrigerate for 15 minutes. 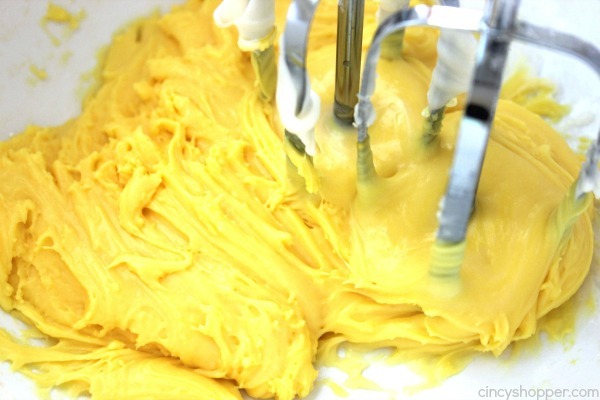 Spread white mixture on top of yellow layer and refrigerate for 15 minutes. 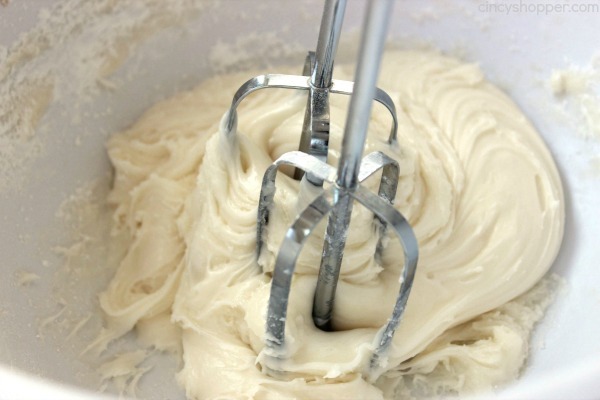 You can then set in freezer or refrigerator for a few minutes to set the frosting. 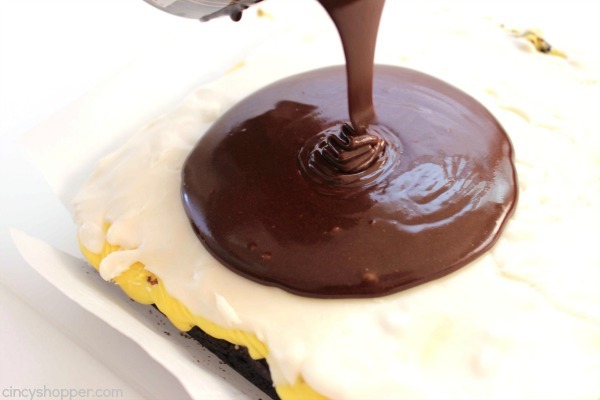 Do you have a favorite homemade easter dessert? Wow what a recipe! 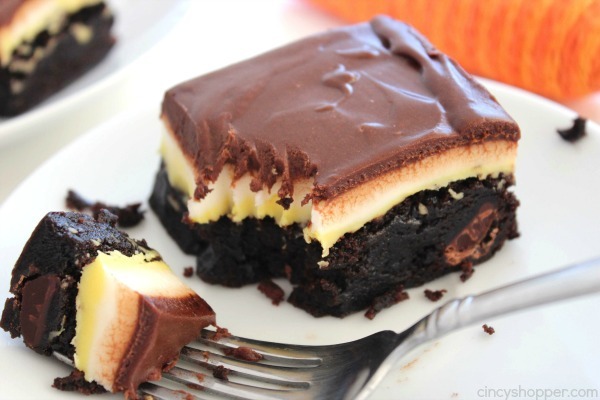 Yum Thanks for linking up to Merry Monday! Yummed Pinned & sharing on FB! Have a great week! I love all your Easter treats. These are so cool! 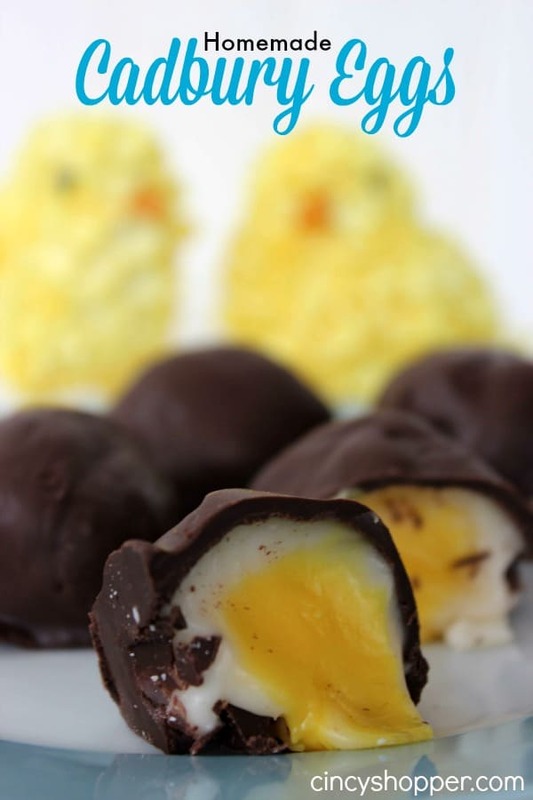 i totally need to make these -Cadbury eggs are a big hit in my family! You had me at dark chocolate! 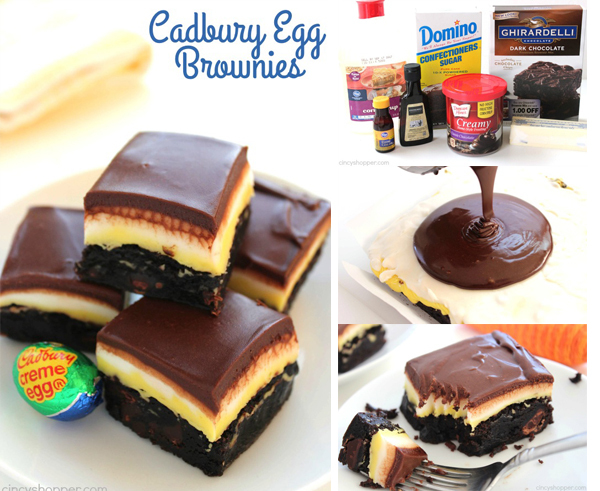 My hubby will LOVE your Cadbury egg brownies for sure! These look so delicious and addicting!! I love cadbury eggs too, so I’m sure these would be just as delicious. Such a perfect recipe for Easter parties. Thanks for sharing on Inspire Me Monday!! 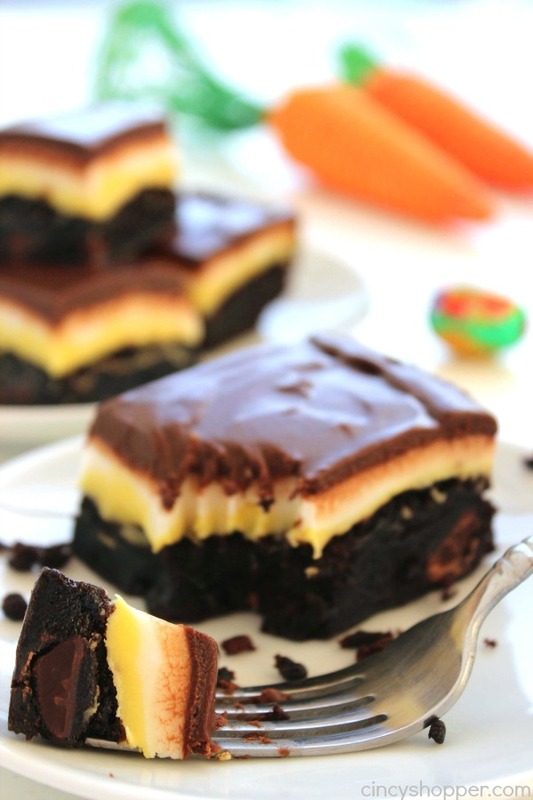 I’ve always loved Cadbury eggs; I need to try these brownies! Thanks for linking up with Merry Monday! Share it Again is where I found this thanks for tte great addition to my recipe book. The melted frosting trick is the best! 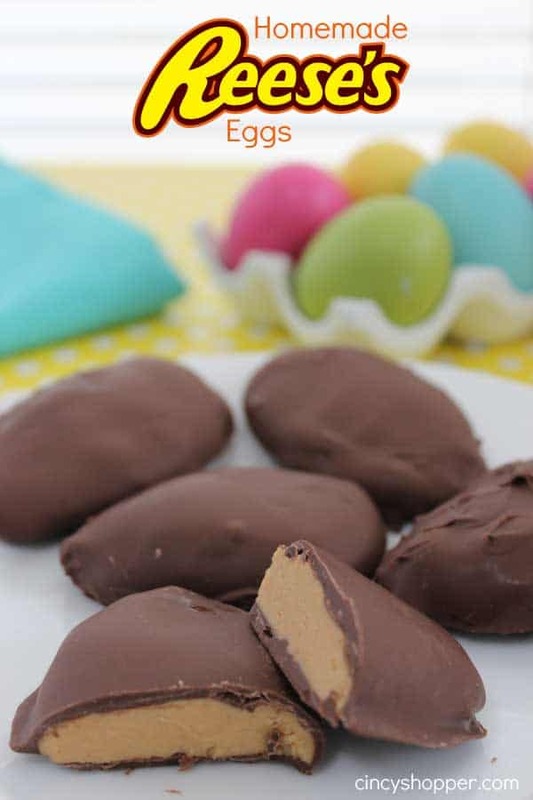 Love Cadbury eggs and can’t wait to try this recipe. Thanks for sharing! 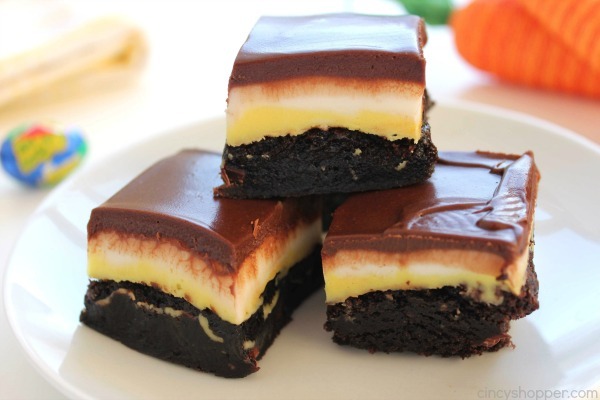 These brownies are AMAZING!!! Thanks for linking up with What’s Cookin’ Wednesday! 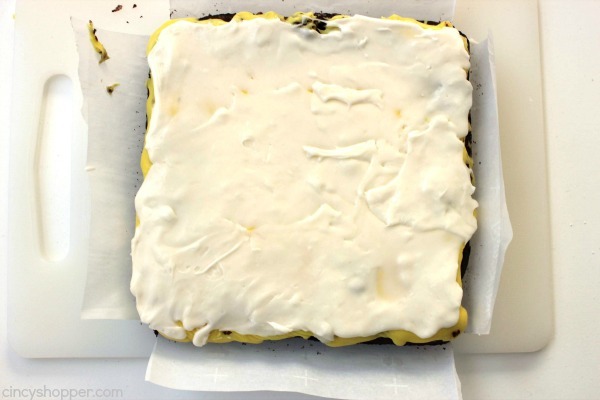 Did you cook the brownies in pan with parchment paper? Wondered how you were able to get them out of the pan in one piece? Are you kidding with this!? What an amazing idea! Does it work to freeze these? They sound amazing! 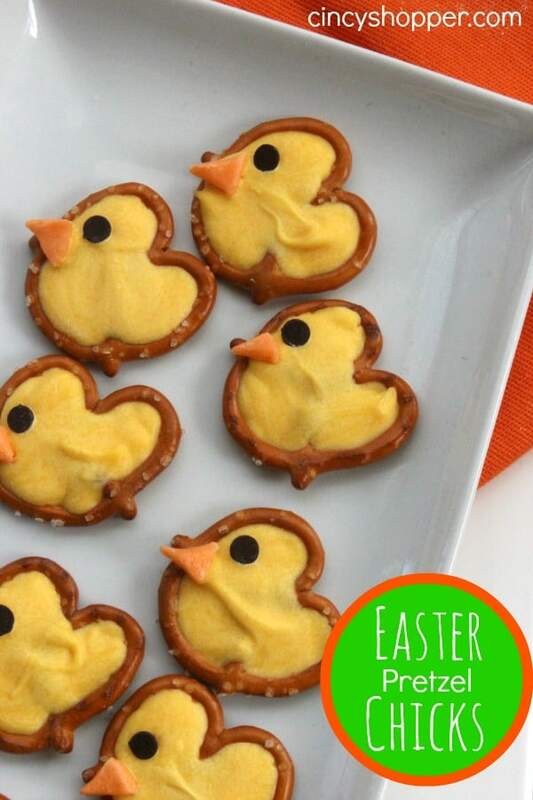 I just tried making these for Easter and the Cadbury cream is TOTALLY unspreadable. I double checked the recipe as I was preparing the cream spread because it seemed really thick after 2 cups of powdered sugar – I wish I had listened to my gut and stopped there. The brownies were ripping apart as I was trying to put the first layer on. I had to take it off and just iced them with the chocolate icing instead since I don’t have time to go back to the store to get ingredients for a new recipes. 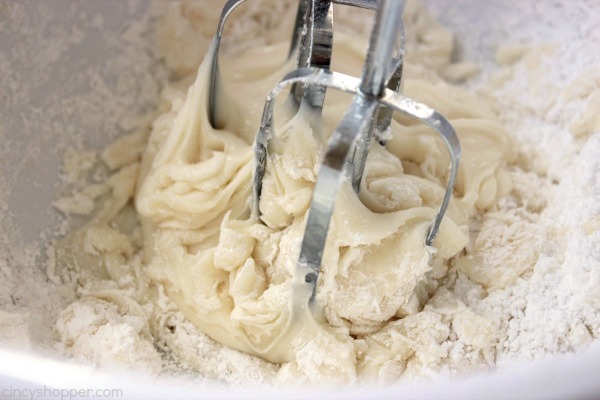 I would advise others to reduce the amount of powdered sugar if their cream seems thick – your brownies will be ruined if you don’t! I wish I had read the comments before trying !! I did the same thing had the same problem!! To thin it though I put a little bit of milk since like you, I had one of my ingredients I just had enough for one batch!! It was still hard to spread but it did thin it out a little because mine was about the texture of dough!! I totally agree. I couldn’t understand what I did wrong. These were not goey…they were like play dough. Was having this for Easter dinner tomorrow. Now to the store to buy something….so disappointed. I just made these according to the directions and the ‘goo’ is sooooooooo thick, I feel like it should be thinner. Mine is like glue/taffy thick. Is that right??? I’m makig this for easter tomorrow and am worried I have screwed it up with the goo. please help! Just made these this evening and it was perfect! I feel like my yellow and white topping layers were not as thick as yours but they were delicious! Great recipe. My corn syrup filling did not work, there was not enough liquid. Not sure what the consistency is supposed to be, I had expected creamy and not runny. When made per the recipe the filling was powdery. I actually added more butter but maybe should have gone with more corn syrup. To anyone complaining about the cream part – mine was way too thick too. BUT you can easily save it if your’s gets too thick! :) Just add a little water at a time, and keep stirring until you get back to your desired consistency. No need to throw anything out! Tastes just fine, and spreads very well. Still sticky since it’s corn syrup based, but it won’t pull your brownies up. Enjoy! Excited to finish these off. Life saver! This water tip worked perfectly!